Snowy Apparition was most recently honored with a Best In Show award (for the "Altered Reality" category) by the North American Nature Photography Association (NANPA) in their annual Showcase Competition for 2016 (judged in October 2015). 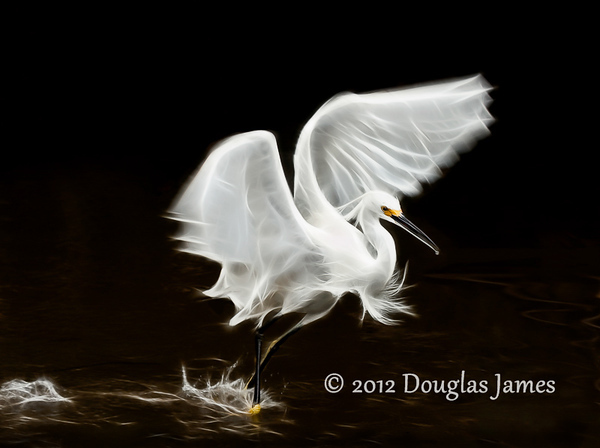 The image was captured at Ding Darling NWR, Sanibel Island, Florida where this snowy egret was flying against a backdrop of shaded mangroves. The ethereal appearance of the feathers most noticeable in the wings and the sparkling water splashes resulted from the application of Fractalius, a Photoshop plug-in for Windows. 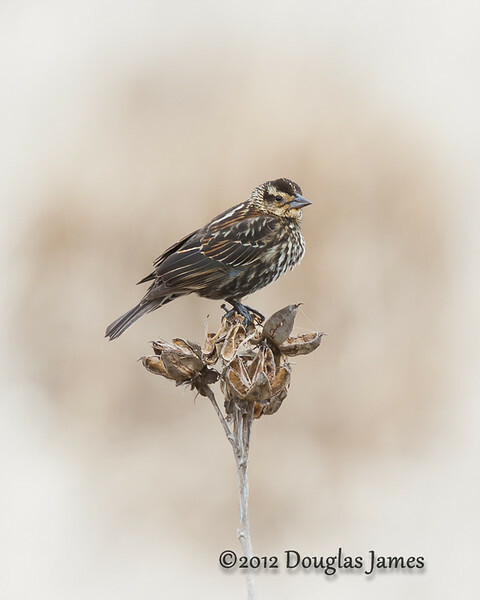 The photographs in the galleries below are provided as mounted and matted prints in standard frame sizes. They can also be supplied framed with a dust cover and wire, ready for immediate hanging. Each print is made using only archival mat and mounting materials, premium paper, UltraChrome K3 pigment-based inks and the latest in Epson print technology. The frames are made in the USA of an eco-friendly composite material and are shipped with lightweight styrene glazing that resists shattering. Image print sizes will depend on the proportions of each specific photograph, but at least two sizes are generally appropriate for each. Typical choices range from 8x10 (matted for an 11x14 frame) to 16x20 (matted for a 20x24 frame) or, for wider images, 8x12 (matted for a 12x16 frame) to 13x19 (matted for an 18x24 frame). All dimensions are in inches. Sizing details and prices are available via email by clicking the "Contact" menu link at the top of this page.